The Green New Deal is a new suit of clothes for a character that has failed over and over again and will keep failing because it does not understand human beings. Seeking happiness and satisfaction is the driving force of everyone’s life but the happiness comes from traveling a path to discover what will bring you that satisfaction. The Green New Deal promotes the misconception that if everyone has a job and three meals a day and a roof over their head they will be happy. The failure in this thinking is that it is the achievement of creating the life you want that brings the satisfaction. An animal in a cage has a perfect life by this agenda. There is never anything to worry about. Sadly for the animal that is boredom and stagnation of abilities – not happiness and joyful living. The Green New Deal is backward thinking. It believes that people need to be taken care of. It believes individual actions and dreams are secondary rather than central to the quality of life. It fails to realize that it is the satisfaction of accomplishing a goal that brings the happiness and satisfaction. Human beings are creators. Helping people to learn what they need to do to achieve is the solution. The animal in the cage is given everything it needs – it will never be hungry or at risk of anything. That animal will also have no adventure, no satisfaction of making anything happen. The idea that taking the struggle out of life provides the solution misses the key factor about happiness. Where there is no effort, there is no satisfaction. The solution is not about making achievement easy, it is about learning how to make it happen. There is a Chinese proverb that is clear on the point we wish to make: Give a man a fish and you feed him for a day. Teach a man to fish and you feed him for a lifetime. There is a wonderful organization that I am very proud to be a part of called Gateway Community Outreach (http://gcoflorida.org/). Their slogan is, “a hand up, not a handout”. What does that mean? They teach people to fish. They will most certainly put some fish on the table but they will also get you into a 90-day program focused on getting back to being your own fisherman. Gateway will help you pay some bills and feed your family but it will also work with you on personal counseling to help you overcome the challenge at hand and figure out what you need to do to get back on your own two feet. This success will not be given to you – you will need to earn it on your own by your personal determination and effort. You know what the real remedy for poverty and inequality is? It is what Gateway strives to do as they work to restore hope and optimism about the future. 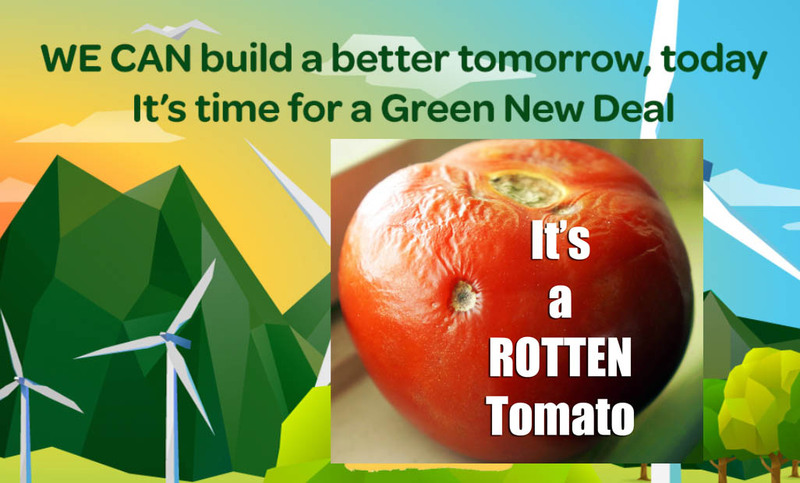 There are a few good ideas in “The Green New Deal” but they are doomed by the failed logic that quality of life is an entitlement and does not need to be earned. Going for the prize of personal achievement is where all satisfaction comes from. Many people will need a hand up. That is what is valuable, not the “hand out”. Life is about learning and growth. Life is about finding the balance of things and relationships that bring you the most personal satisfaction. No matter what a society does, it cannot give or guarantee someone a happy life because it is finding the path on your own that delivers the prize. Instead of trying to put everyone on an even playing field we need to teach all who are willing to learn, how to be good players. As James Allen said in his book by the same title, “as a man thinketh, so is he”. We’ll have more on this since I know many New Green Dealers will want to talk about the greed, cruelty and corruption of Capitalism… nothing is perfect. 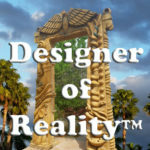 That’s why we are here – to help create a new and improved realities for the planet each day we venture out on our individual life adventures.